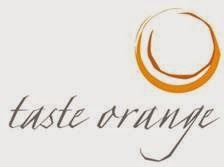 The countdown has begun until Taste Orange is set to paint the town orange with their highly anticipated 2013 event Taste Orange @ Sydney. Sydneysiders are gearing up with only two weeks to go till the iconic Orange and District region brings their country hospitality and finest wares to Martin Place on Wednesday 21st August and Thursday 22nd August. For these two not-to-be missed dates, Martin Place will transform into a regional showcase of some of Australia's finest food and wine, cultivated from the cool climate and high altitude that the scenic Orange region boasts. But that's not all; join us in demonstrations and a discussion with some of the region's winemakers, food producers, businesses and industry leaders to hear all about their innovative approaches to their craft as well as their love and pride for the region. Taste Orange @ Sydney features both day and night festivities, offering you the unique opportunity to take a trip to Orange in your lunchbreak between 11:30am-2:30pm with FREE entry, wine and food tastings, giveaways, cooking demonstrations plus live music & entertainment. And for the first time in 2013, Taste Orange @ Sydney will also offer you the chance to pop up after dark at the Pop Up Wine Bar from 5pm-8pm. With the 24 of the Orange and District region's finest wineries, Taste Orange @ Sydney is a wine lover's delight with wines from Angullong, Bantry Grove, Belgravia, Borrodell Vineyard, Brangayne, Cargo Road, Carillion, Charles Sturt University, Cumulus, De Salis, Faisan Estate, Heifer Station, Highland Heritage Estate, Logan, Monument Vineyard, Mortimers, Orange Mountain, Patina, Philip Shaw, Printhie, Ross Hill, Sassy and Stockman's Ridge plus Small Acres Cyder! In addition to the terrific range of the regions wines available for tasting, at the Pop Up Wine Bar you'll be able to purchase a glass or two ($7 a glass), or even stock up your cellar by purchasing some wine direct from the makers for takeaway consumption. But wait there's more... you'll also indulge in the scrumptious produce that the region is known for, so prepare your taste buds for a surprise with delicious offerings from the Orange Region Farmers Market as well as 2011 Masterchef Winner (and current Orange resident!) Kate Bracks as she shares all her culinary secrets in a cooking demonstration. So whether you're longing to escape the office for an hour or two, an aspiring sommelier, chef or musician or just after mid-week catch up drinks with friends in a very cool Sydney-style fashion, Taste Orange @ Sydney has it all.